Kneron, an artificial intelligence (AI) startup company, today announced the completion of series A financing of over ten million US dollars. Alibaba Entrepreneurs Fund and CDIB Capital Group are the lead investors, and Himax Technologies, Inc. (Nasdaq: HIMX), Qualcomm, Thundersoft, Sequoia Capital (its sub funds: Cloudatlas), and CY ZONE are co-investors. 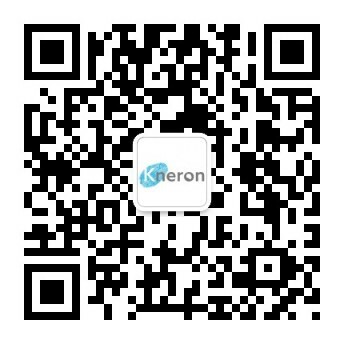 As a technology leader of edge AI solutions, Kneron will increase its internal resources to accelerate the integration and development of its solutions, while cooperating with its strategic partners to promote the edge AI technologies and speed up the popularity of AI applications. Kneron offers innovative solutions by moving part of the AI computing power from the cloud to edge devices, which differentiates it from traditional cloud-based AI solution providers. Kneron’s edge AI solutions are able to do real-time recognition, inference, and analysis with no need to connect to the cloud. Thus, the solutions are faster, more reliable and secure, while reducing significantly cost and the cloud burden. In 2016 Kneron released its first ASIC（Application-specific integrated circuit）chip for AI, the Neural Processing Unit (NPU), and its software with Reconfigurable Artificial Neural Network technology, which uses an advanced algorithm to enable quick implementation of different AI applications. Due to the effective integration of software and hardware, Kneron’s NPU is only 1/40 the size of traditional AI chips with better performance and lower power consumption. Currently, Kneron has provided customized solutions for home appliances, surveillance, and smart phones to several international companies. Kneron has earned recognition for its innovative technologies and development potential. Kneron participated in the Qualcomm Sequoia Frontier Tech Startup Competition 2017, held by Qualcomm, Sequoia Frontier Tech Startup, and Cyzone jointly, and won the first place in the finals with the DEMO GOD Award.